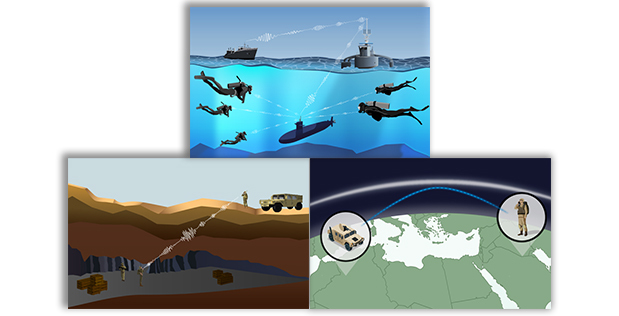 A DARPA project could enable radio to be transmitted through water and rock. Radio frequency signals hit veritable and literal walls when they encounter materials like water, soil, and stone, which can block or otherwise ruin those radio signals. This is why scuba buddies rely on sign language and there are radio-dead zones inside tunnels and caves.